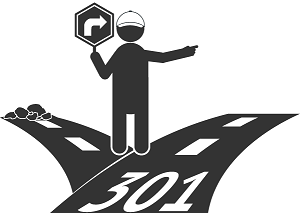 Put simply, a 301 Redirect is a configuration made on your web server which will take your site visitors of a old page to the new page. So for blogspot to be able to do the redirecting, they have to create a 301 Redirect configuration on the server that is hosting my blog, so that I will not loose any visitors. A 301 Redirect does more than just redirect you visitors from the old page to the new ones, it also notify search engines that a page have been permanently move, so they should drop the old one and index the new one.